Rina Mitra was serving as special secretary internal security in the Home Ministry since March 2017 and was reportedly one of the 12 officers shortlisted to take over as CBI director earlier this month. 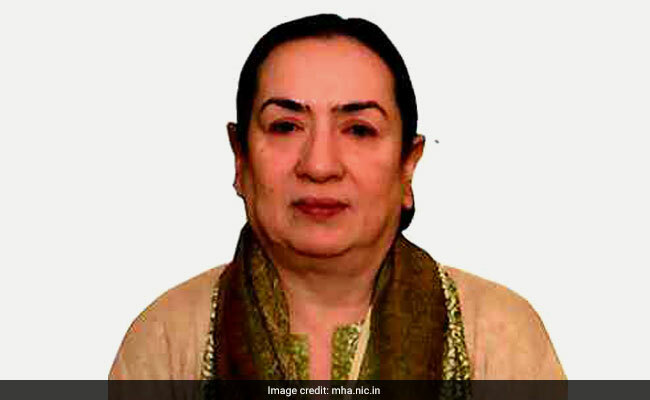 Rina Mitra served in Madhya Pradesh and in the Union Government in various capacities. She could have been the first woman to head the CBI, India's premier investigation agency. But bumped out by a day's delay in the selection process and now just retired, Rina Mitra, a 1983 batch IPS officer of the Madhya Pradesh cadre, has now been appointed by West Bengal Chief Minister Mamata Banerjee as the state's principal advisor, internal security. Ms Mitra was serving as special secretary internal security in the Home Ministry since March 2017 and was reportedly one of the 12 officers shortlisted to take over as CBI director earlier this month. But Ms Mitra herself wrote in The Telegraph newspaper on February 5, "I did qualify on all parameters to be considered for the selection to head the premier investigation body of the country... I was indeed the senior-most officer fulfilling all the four essential criteria including experience in CBI and anti-corruption... However, an easily avoidable delay of just one day in the selection process ensured that I was bumped out of the race and no longer in contention." Ms Mitra, born Sept 1, 1959, grew up at Sanctoria in West Bengal's Asansol. She is a graduate from Kolkata's Lady Brabourne College, has a Masters in Literature from Calcutta University and later earned an MPhil from the National Defence College. She served in Madhya Pradesh and in the Union Government in various capacities. She won the Police Medal for Meritorious Service in 1999 and the President's Medal for distinguished Service in 2008.